Entertainment, arts, and culture venues depend on gift shops and concessions stands for increased revenue, and customers depend on them for a better overall experience. SalesVu iPad POS solutions now integrate with Tessitura CRM, so you can easily look up customer information and provide discounts and gift certificate redemption to existing members. With SalesVu iPad POS + Tessitura CRM, you can speed up transactions, prevent long lines, and provide a better overall customer experience. 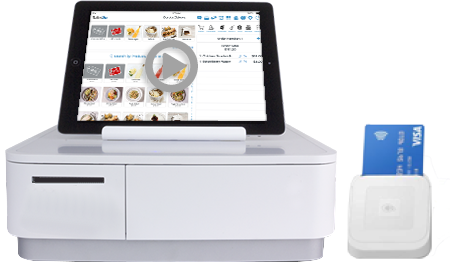 Why spend thousands of dollars on a point of sale system (POS) for your gift shops and concessions stands when you can download SalesVu iPad POS apps for free and start increasing order accuracy, maximizing efficiency, and minimizing costs? Manage transactions, reduce errors, and streamline your operations with this free iPad POS app. Increase profits by providing a mobile app that allows customers to place orders via phone. Increase tips in a comfortable, low-pressure way and give customers more privacy. Give customers the ability to make and modify orders at concessions stands with this self-ordering kiosk. Look up any client in your Tessitura CRM with SalesVu iPad POS, apply membership discounts, and redeem Tessitura gift certificates. Forecast labor needs, enforce shift schedules, and automate clockins/outs. Our initial attraction to SalesVu was its mobility and scalability. As a major presenting arts organization, we have an ever-changing range of needs across our venues, events and festivals and we were searching for one system that would allow us to capture both concessions and merchandise sales with an easy to learn interface for part-time/seasonal employees. Create your FREE account now to start increasing customer satisfaction and boosting operational efficiency in your bars and gift shops.